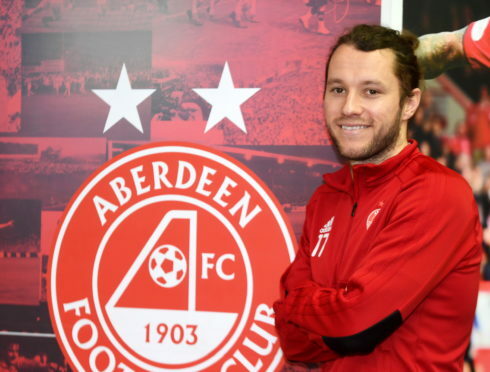 The Dons, who had won the League Cup a month earlier, looked on course to face Dundee United in the 2014 final when Niall McGinn gave Derek McInnes’ side a first-half lead against St Johnstone. But two goals from May sent the Perth club into the final where they claimed the first major trophy with a 2-0 win against the Arabs. Now a Dons player, May hopes to emerge as the Scottish Cup semi-final hero once again and sees no reason why the Reds can’t stun the Hoops. He said: “Semi-finals have been good to me over the years. It would be nice to score the winner again but I would happily accept it being someone else if it guaranteed we got to the final. “Winning trophies is the best thing in football. Lots of the boys in the changing room have won trophies before and there are a few who haven’t. It would be nice to get back to that. “But we have a massive game against Celtic to take care of. We have had joy against Celtic the last few times we have played against them. May reckons the team spirit among the Dons squad has been the key to success this season. He added: “The character comes from the fact we all get on so well. It probably goes under the radar how important that is. 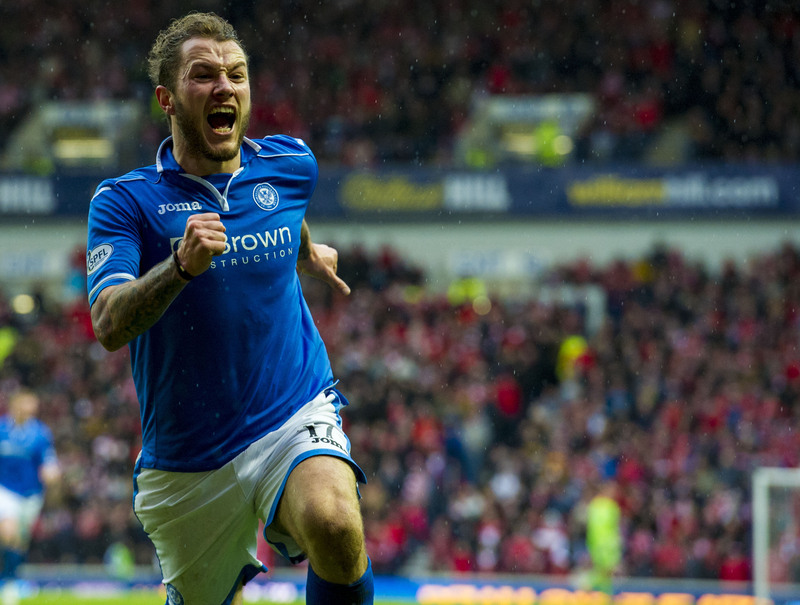 Stevie May celebrates scoring against Aberdeen in the 2014 Scottish Cup semi-finals. “We are really disciplined and when we have our backs against the wall we help each other out. The boys spend a lot of time together outside of football. “The boys are similar ages and a lot of them would be friends outside of football anyway. When we stay together for away games, we play cards and darts. “In Scotland, it is not a given you stay away when you are playing away from home. Before we played Rangers in the quarters, we had four days in the hotel together. We had time to go for a coffee or to he cinema. “Some boys like to play the PlayStation and Xbox together and others play cards or watch boxsets. The time flew by.